While South by Southwest (SXSW) is easily one of the most recognizable events in the world, its definition is surprisingly hazy. Is it a music festival? A tech conference? Or simply a collaboration between the most interesting industries in the country for one of the most memorable weeks of the year? Anyone that’s ever attended the Austin event knows that “all of the above” doesn’t even begin to cover the excitement of SXSW. And while the entertainment industry takes a lot of credit for the awesomeness that is SXSW, tech holds its own when it comes to creating the electric atmosphere of this epic coming-together. 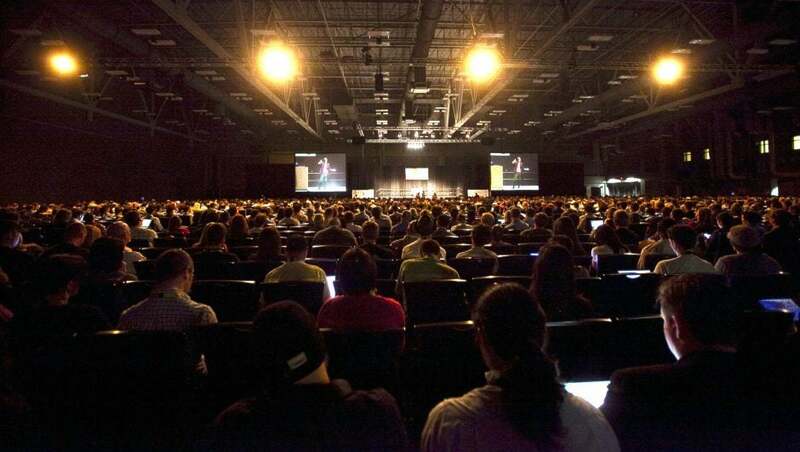 Hundreds of celebrities, thousands of companies, and millions of attendees descend on Austin for concerts, parties, events, and speakers that impart wisdom, instill joy, and generally engage people in ways most of us could only imagine. In that vein, we wanted to prepare you for the festivities by showcasing a few speakers that will be participating in sessions on Tech & Startups. Take a look at who you can see in Austin this year below! As the former executive assistant to not one, not two, but three of the most influential minds in the world, Ann Hiatt is a decidedly impressive presence in the tech industry. In addition to currently being the Chief-of-Staff at Google and the Business Executive Partner of Eric Schmidt, she has also been the executive assistant to Marissa Meyer of Yahoo! and Jeff Bezos of Amazon. Plus, she’s fluent in Swedish, which is impressive in and out of the tech industry. Not only has Dr. Mohib been Afghanistan’s Ambassador to the United States since September 2015, he also acts as a non-resident Ambassador to Mexico, the Dominican Republic, Argentina, and Columbia. His goal to reshape Afghanistan’s image in the US to reflect its social and institutional development is as noble as it is difficult. By focusing on culture and peace initiatives, he’s been able to secure a number of investments between the two countries, setting a prosperous foundation of peace for the future. Dr. Mohib will join Keith Alaniz of Rumi Spice and Victoria McColm of McColm & Company in a session titled Social Enterprise: Peace Through Business. They will discuss the importance of pairing global peace initiatives with economic opportunities that can lead to a more sustainable future, using Afghanistan as a case study. When your résumé includes Google, the World Economic Forum, and a TED talk, speaking at SXSW 2018 is a walk in the park. As an expert in blockchain and cryptocurrency, one of the most talked about topics in tech today, Narula has definitively established herself as a force in the tech community. Her work on distributed systems could someday be the difference maker in turning blockchain into a global standard. Being one of the stars of ABC’s Shark Tank effectively turns you into the public face of entrepreneurship in America. And Daymond John wears that honor like a badge. As the famous founder of FUBU and the current CEO of The Shark Group, a successful brand management firm, John has left an undeniable mark on the business world, guiding startups towards success on screen and off. John will be participating in a session titled Swim with a Shark: Rise & Grind to Maximize Your Day in hopes of inspiring some SXSW 2018 attendees to get out there and accomplish their dreams. By using successful entertainers and entrepreneurs as an example, John will show attendees how a little “rise and grind” can make all the difference when it comes to achieving and succeeding. That’s right, the founder of the largest hedge fund firm in the world is going to be at SXSW 2018. In addition to managing $160 billion at Bridgewater Associates, Dalio has a storied past of investing in good ideas. Dubbed the “Steve Jobs of Investing,” Dalio has injected capital into more industry-changing innovations than you can count. Dalio is also the best-selling author of Principles: Life and Work, in which he shares the unique principles that led to his impressive breed of success. Dalio will talk at SXSW 2018 in a session titled How to Build a Company Where the Best Ideas Win Out. Dalio will discuss how the meritocracy-focused culture of Bridgewater Associates has led to its undeniable success, as well as the technology used to guarantee that merit is rewarded properly. In the business world, being great isn’t always good enough; you have to be great and fast. Fu personifies this trait, as her success at Alsop Louie Partners was obvious within her first few months. Since securing funding for a wide range of companies for the firms disruptive technology division, she has become a staple of the investment community. She also developed the firms outreach program, focusing on bringing in companies from university campuses around the country. Fu will join Richard Rabbat of Gfycat and Tenzin Seldon of Kinstep in a session titled Minorities in Tech: New & Old Challenges Under Trump to discuss what “has and hasn’t change regarding sexism, xenophobia, and racism in tech” since Trump was elected. They’ll focus on the challenges of hiring while immigration policy is in flux, the uptick in sexual harassment issues in the workplace, and how decision makers can instill actual change in the industry. While a lot of us take technology for granted, Herrlinger does not have that luxury. As the Director of Global Accessibility at Apple, she has made huge strides in trying to make iPhones and other Apple devices more accessible to the deaf and blind. Her inclusive mindset has allowed for innovations like the VoiceOver screenreader and the Made for iPhone Hearing Aids. In a talk titled Y35 W3 C4N: Innovations in Accessibility, Herrlinger will join Richard Ellenson of Cerebral Palsy Foundation, Betsy Furler of Easter Seals Greater Houston/BridgingApps, and Haben Girma, a disability rights lawyer, to talk about innovations in accessibility that will allow disabled people of all kinds access to technology like never before. They’ll also talk about why this initiative is important and that more needs to be done in the space. If you’ll be in Austin on Saturday, March 10th, RSVP now to join us and these 25 startups at SXSW Startup Night 2018 at the American Cities House located at Maggie Mae’s on 6th St.